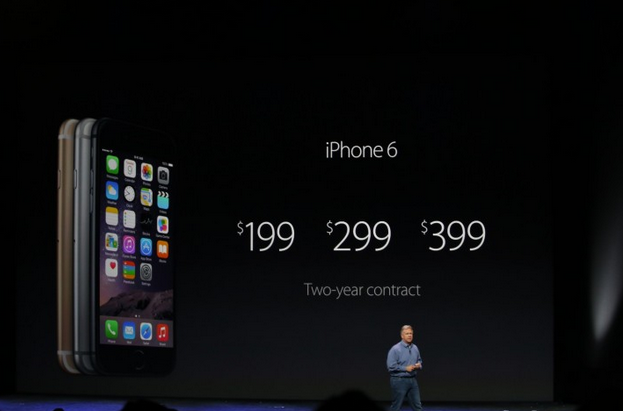 Apple iPhone6 is now available for sale in Qatar. Apple iphone6 and its variants are available in Qatar Lulu and all other electronic retailers. The iPhone 6 comes in three flavors: 16GB will set you back $199, 64GB will cost you $299, and there’s a new 128GB version at $399. This is on a two-year contract, of course. Without Contract Iphone 6 is priced at $649 for 16 GB, $749 for 64GB and $849 for 128 GB whereas the IPhone 6+ is priced at $749 for the 16GB, $849 for the 64GB and $949 for the 128 GB Version. The iPhone 6 Plus is also available in three flavors: 16GB will set you back $299, 32GB will cost you $399, and 64GB goes for $499. 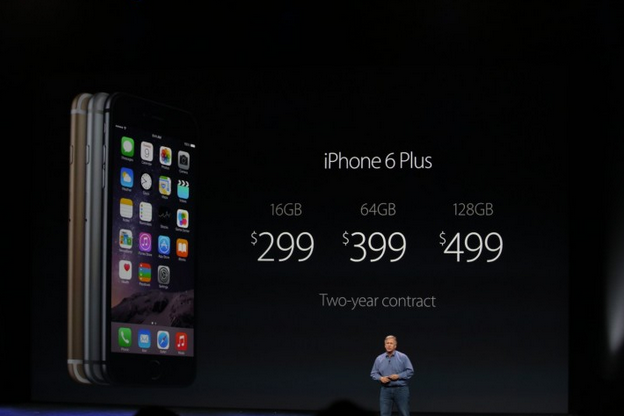 In other words, the Plus will cost you another $100 on top of the iPhone 6. A 1334 x 750 resolution on the iPhone 6 and 1920 x 1080 resolution display in the iPhone 6+. There’s a new 8 megapixel iSight camera and an all-new sensor. IPhone6 comes with a “burst selfies” feature, which takes several shots back-to-back-to-back. Apple’s slo-mo,” vids are even slower now,the new iSight camera ahs the ability to capture more “frames-per-second.”.The new iPhone 6+ comes with “optical image stabilization,” a feature that uses the device’s new motion chip to reduce the chances of your photos being blurry. Introducing Apple Pay the secured payment system by Apple which is most secured and as easy as placing your finger on the iPhone 6 and 6+’s home button and holding it where while Touch ID recognizes your finger print. 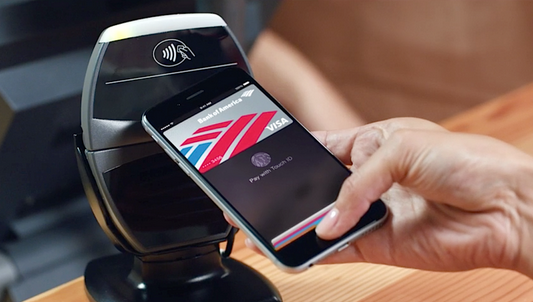 Apple Pay launches in october. The new IPhone6 has a graphic chip thats 85 times faster which gives a significant 50% faster graphics performance. Equipped with Apple A8, a 64-bit chip that has 2 billion transistors, twice the transistors in last year’s A7 chip. It’s also 13% smaller than its predecessor, 25% faster performance.In Safari, swipe right and left to navigate among different Web pages.